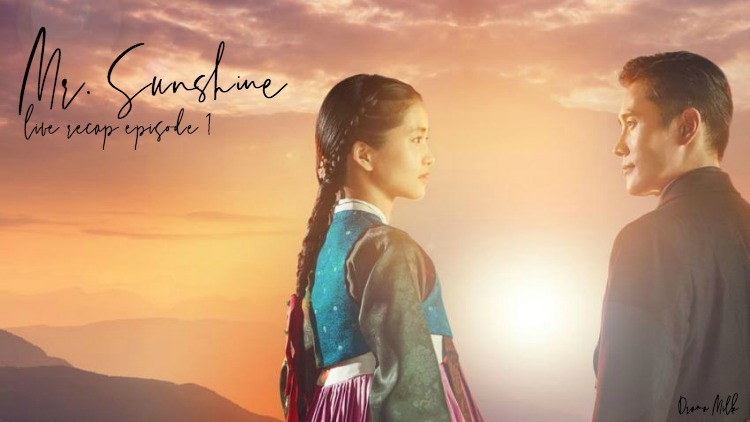 We are finally here with the Mr. Sunshine première episode. It’s been a minute y’all. I wish I was more excited than I am considering this is the most anticipated drama of the year. But honestly, I think I have expectation fatigue. Or maybe I am just too tired as I post this post together. Whatever the case, I am ready to get this show going already. Let this be epic! We open on an English Newspaper, Lincoln was shot. There is a sign for the US Navy. Then we scroll to a music shop in New York City. The street is empty and misty. A man walks out of the mist in the distance and all we hear are his footsteps. He stops at the music store and listens to a mechanical music box. He looks at it from the window on the street. It is planning a well knows tune. As the bell melody keeps playing, Eugene Choi walks along a walkway and into a US army building. He is an officer and is saluted by a couple guards. He goes into someones office and they speak English to each other. Eugene saved this man from a ditch? Or saved him from something, the man says that what he did worked, the White House has called them. Cut to them talking to the President Possibly? Ah, yes, they are talking to Theodore Roosevelt and are given their next assignment. “Speak softly, carry a big stick, and head off to Joseon.” (lol). Afterward, Eugene and this man walk outside. The man says that Korea is his home right? But Eugene says that is not true, America is his home, Joseon never took him in. Later on, Eugene sits at his desk and looks over old photos and maps of Korea. Its quiet as he looks at these maps and he is also pulled into reverie as the camera scrolls over the map. Epic battle music starts playing and we cut to battle ships in a misty ocean. The ships are headded someone in formation to attack. the sails are out and an American flag is at the top of one of them. About 5 ships are on there way to Joseon. A man rides into the palace on a horse. He is in a hurry. VO – We have 5 ships from America on the west coast on an island. They want to have permission to search. King – What is that country? Man – That is America, it is just like the Jurchens. We should not let them come in. Scholar – Of course we will not accept diplomats from that country. Cut to two men eating outside. One man says that the Americans should be strong. The King is worried about rebels so he does not want to put too many soldiers in one place. The other guy becomes sarcastic. They keeps talking about politics as a woman comes out and straightens up their table. One of the men looks at the slave as if he wants to eat her. the other man tells him that he needs more slaves for his house. One man asks for a position. is an official position good enough for you? The other man laughs and says she is married, I can give you an un married – . But this man said that if she has a husband then she does not actually need a husband. So it looks like the bad guy wants to kill the husband and get the slave woman for himself. The husband heard this. Cut to a little boy carrying a lot of wood. A yangban asks the boy what he is looking at. The boy was looking at the sky. He says as much. The yangban wants to know why. The boy says he thought one black eagle can ruin everything. The noble man says that he should not look at the sky, he should look at the ground. If slave born looks at the sky, then you will have a shorter life. The boy says he understands that and sadly walks away. back at the Masters house, two slaves are being reprimanded because they wanted to run away. The master tells them to wrap him in the mat. They kick him and he rolls into to mat, they are about to start hitting him. The boy gets home just in time to see this. He runs to his mom but everyone else holds him back. The Master says that the son should see this as well, let him watch, he needs to know what happens to slaves if you don’t follow the law. The mom cries as they start to beat the husband. The little boy runs to another noble man and asks him to help him. But the kid is thrown to the side. The master thinks they should just kill the father to show the best lesson. So now the kid and the son are being beaten. The mother runs up to the noble woman and holds a knife to her throat. She actually draws blood from her and tells them that they need to stop or she will stab her further. This woman is pregnant as well. The slave woman tells her sone to pick it up, she threw something to him and tells him that he can buy rice with that, run away! Never come back! The son picks it up, but he does not want to leave. The mother steady has the knife to this noble womans throat, she is bleeding all down her neck. The master says to catch boy. The noble woman says, if you move one step then I will kill you all. The mom puts the knife to her belly and tells her son to leave. At least he should leave and not die like a dog. This boy is only like 7 years old. He cries but then he runs away. The Master is angry and starts to shoot arrows at the little boy. But he hits his own slaves. The boy runs away and is able to ecape to the forest. After seeing her son escape, she falls to the ground and tells the master to kill her. He says he wants to do that, but her promotion depends on her so he will not kill her now. Instead, he shoot the arrow into the husband who was already passed out. He tells everyone to grab her and put her in the shed. the noble woman is also about to pass out, she might give birth right now. The little boy stopped running away and looks back, it looks like his mother might have jumped into the well to kill herself. He may have sensed that and just starts crying as his mothers voice plays over and over in his head. Leave! Run far far away! Her shoe is in the well, but it starts to sink to the bottom. The boy tucks what she gave him into his shirt and continues running away. Several people are chasing him. Back at the Masters house. the master is crazy upset and wants his property back. He will pay for someone to find him and describes the boy as a 9 year old. IS and CS are given the task to find him. Cut to the little boy running through a sweet potato field and stealing a sweet potatoe to eat. Then he keeps running through a gorgeous field. He runs by a brook and over little cliffs. he washes his face in a creek and drinks some of the water. The slave hunters are on the trail. The little boy sleeps on a rock. The baby was born. The woman with the wound on the neck cradles her. The little boy hides in between several large rocks and sleeps. the next morning, he is able to steal some more food. A man asks him if he likes the food? the boy starts coughing. The man tells him he wont digest well if he eats too quickly, you can drink some water in the well. The man walks off. Later on, the boy goes to the man and wants to present the gift his mother gave him to this man. It is worth 3 bags of rice. The man asks him where he stole it. The boy says that this is the price for his mothers life, he did not steal it. the man sighs and tells him that the jewlry is too expensive, he will not buy it. Leave. The boy asks for 2 bags of rice, can he have it, he is so tired. An american yells for the Man of the house. He walks up in Western clothing and talks to the man. He wants to buy his pottery. He likes his pottery a lot and wants to take some back to America. (lol at his Korean). the boy asks the man where America is. Then a gong goes off and black birds fly into the sky. The gong keeps going off as people prepare for battle. they are on an Island on the west coast, Ganghwa island. The battle is already on as bombs shoot the island. It looks like these bombs are from the ships we say earlier. So many bombs are hitting the island, they don’t stand a chance. The island people try to shoot back, but they are not as fast as the ships and are getting picked off. All the slaves adn volunteer soldiers are doing all the fighting on this island. The camera focusses on another little boy. An explosion goes off and messes up his hearing, he has a ringing in his ears and cant hear anything anymore. But he still sees what is going on and all the devestation around him. He walks aroun in a daze until someone shakes him and tells him to wake up! A voice over says that they are fighting back even though they are in the face of crushing defeat. No one is leaving that place, even tohugh they are losing. The American guns are much better than the Korean guns. they just have to shoot, they don’t have to reload like the Koreans. VO – Even though we are pushing them with overwhelming military power, they are fighting over and over again fighting the generals flag. When their weapons are broken then they throw rocks and dirt. This is the most cruelsome, fearsome battle. Cut to a Korean man following an interpreter. At the palace, everyone is peaceful. At the war, the boy accidentally fires the cannon possibly? His father is in the distance and needs fire. the boy runs to his father and tells him that they need to run away. But the father tells him to be quiet, if they run away, then who will protect this place! He needs fire! But then a stray bullet hits his father adn he falls. The son pulls his father up…abogi…abogi, wake up…. The boy is distraught. The father’s gun hand falls to the ground, lifeless. The son starts to cry over his fathers body as the war continues going on around him. But it gets a little quiet, the dust starts to settle as the American soldiers slowly walk along the crowd. Teh boy picks up his fathers gun and shoots it at the man he thinks is the captain. the man but he might have hit the interpreter? All the soldiers run to this boy and point their guns at him. It turns to night and rain starts to fall over the battle field, sprinling all the dead bodies. VO – Over 200 people died in Joseon, the general also died while fighting. The King asks if they lost. The scholar says that they lost a lot of people, but they didn’t talk to the Americans so we didn’t really lose. So the King asks if America lost. The scholar says the US won the war but did not win diplomatically. The scholars start to argue, one side wants negotiations with the AMericans and the other side does not want it. They don’t know what the Americans will ask. And all the slaves did not fullfill their duty and were cought. Tell them not to come back to Joseon! The young King looks conflicted about this. General – It looks like the Koreans are not going to have a diplomatic relationship? They are not like Japan that just openened up right away. It was our mistake. Why aren’t you translating it. Translator – Stupid Joseon people don’t open up. The other Korean diplomat asks the translator why he is translating it so badly. Later on, the American soldiers take pictures of themselves and the hostages. the translator comes. the slaves ask him what is going to happen to them. The translator says that the AMericans are doing whatever, the Korean government abandoned you. the slaves says that they will kill this interpretor themselves, he is a Joseon person, how can you do this to Joseon. The US soldiers tell the interpreters that they will release the prisoners to give them respect for fighting for their country. But the interpreter says they killed over 200 people but are showing righteousness by releasing the prisoners? The interpreter thinks of going to Japan now. It looks like he is a traitor. The slaves are released. The boy goes back to his fathers grave and the man from earlier who let the 9 year old eat his food is standing over him. It looks like they might be family. Dozens of other families are in this field crying over their loved ones that they burried. Later on, the man tells the teanager that nothing is broken, but he has a lot of wounds so he needs to sleep for days. Stay here tonight. But the boy says he will go to his fathers house, his fathers gun is there. He can become a hunter, he can make traps. But his uncle tells him that winter is coming. The boy tells him that he will not starve uncle, dont worry. The uncle calls him Seung-goo and tells him that his fathers death was a good death. He put his life on the line for his decendents, don’t forget about that. Seung-goo tells his uncle that….he is not going to die like his father. that is why he is going to use the rifle. He is going to destroy this country that abandoned their own citizens. Uncle….I am….I am going to be a traitor. the uncle is sad but nods. the next morning, the uncle walks out and sees two men. These are the slave hunters. They ask him if he has seen a little boy. The man hits one of them so the slave hunters think he hasn’t seen the boy. But actually, the boy was under one of the boxes that the men were sitting on. When the slave hunters leave, the man opens the box and says he did not make pottery like this, he kicks it and tells him he will see if this pottery breaks. The boy rolls out. The boy tells him his story, his father was beaten to death, his mother is dead, he is followed by these slave hunters. He is going to die whether they catch him or not, please save me…. the man says it is none of his business. But the boy cries and says he wants to go to America. Please help me. The American comes back and is concerned about the boy. The uncle asks if America has a God, if you pray, will he listen to you? The American says yes. The Uncle tells him that he should pray and take this boy then. The US guy is all like, I don’t know him. The little boy thanks the Uncle and tucks his mothers gift back into his chest. The American ends up taking the boy back with him. The boat leaves with lots of supplies and produce from Korea. The little boy is in the pottery box. The American knows he is in there, but no one else knows he is in there. He is also in a tiny boat that is being pulled by the much larger ships. The food items are transported to the boat so the boy can sneak out and try to eat something. Whenever he hears someone coming, he sneaks back into the crate. He waits for the chef to leave. The American also sneaks in and gives him water a couple times a day. (This boy is so cute). Finally they get to New York CIty (I think, maybe it’s San Francisco?). All the landmarks are not complete yet. The boy follows the American around, but the American tells him he is too busy to take care of his business to take care of him as well. the boy asks him to take care of him, he will help him. The American says that Joseon people are so scary, you want me to take care of you here? The boy mentions that the American said that God is everywhere, he is here to right? This gets to the American so he says that that is right and grumbles about his life. So now he is letting the boy walk around with him. He tells the boy that he wants to learn better Korean and go back to Korea. He asks his name. the boys name is Eugene. The American says that they have the same name in America, it is a precious and great man. the boy ends up getting a job carrying luggage for people. But some little kid thugs take his money. The boy walks up that same street that was in the opening scene. He looks at the music store and sees the music box. He starts crying at the New York music store as he listens to the music from the music box. he keeps crying for a long time. Montage of getting beaten up by the little kid thugs. He grows up a little as the kids keep beating him up. They tell him to go back to China. The boy just got beat up and sees some soldiers walking back from a ship. A piece of chocalate falls on the ground from the soldiers (or they tossed it to him?). The boy tells one of the little kid thugs that they can have it, he has something else, he wants to be an American. VO – I was born as a farmer so I thought I had nothing, but I knew what I had. This will be a lot of money if you sell it. Japan Leader – What is that? Traitor – Joseon. Give me money and I will give you Joseon. 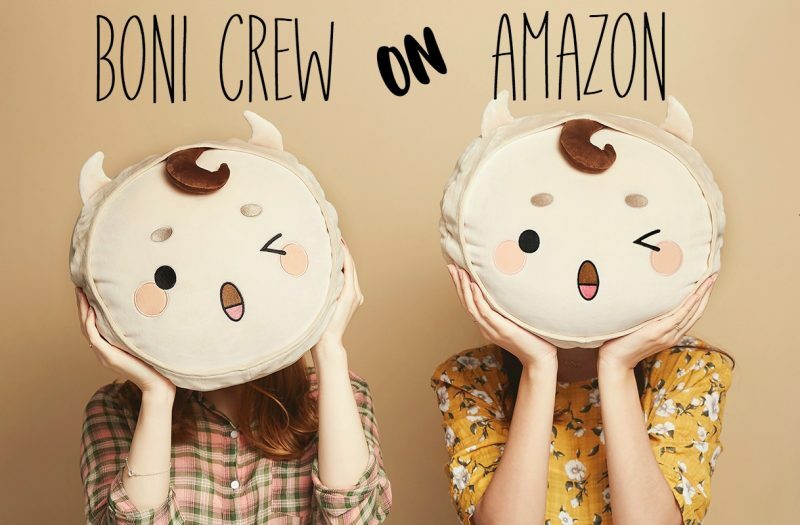 Japan – only $50 for Joseon? Traitor – Joseon does not deserve more than that. You can destroy Joseon by opening the door. People will die like that or from cannons, you will lose nothing. The traitor walks the streets with a permanent limp. It is not for sure whether he is in Japan or Korea. But he is being followed by a man. There is a gun shot. Cut to Kim Ji-won’s cameo. She has a baby but something went wrong outside, there was only one gun shot. They might have been betrayed, they have to leave. But her wedding photo breaks. She looks that the photo and says she can’t leave, she just had a baby. She shows them a secret passage and tells her that she can buy them some more time. She gives her baby to this man and tells them to protect the baby and the country. Goodbye comrades. She lovingly touches her baby and tells the baby, bye bye. Then she pulls out a gun and starts to shoot at the people coming in. She hits two of them, but they fire rapidly at the door and hit her. She is super bloody, but she is not dead yet. She fires one more shot and hits another one of them? But she falls in the end. the traitor gives her gold and throws it on the floor. Cut back to her husband. Her husband asks the traitor how much money he got. How much money made him a shameful father and a shameful son and lose his honor, how can he live like that. The traitor shoots him in his head. But the man is still alive, he says that he is asking him Wan-ik! Cut back to the room with the wife. Wan-ik tells her that this is what she gets for trusting a traitor as a comrade. She tells him, yes, this shouldn’t be….~. She sees the traitor and says that it was him. Wan-ik asks her if she thinks that killing him will change Joseons future? A lot of people live with Joseons fate. She asks if destroying them will destroy Joseon, WI asks where the othe people are. She says that they went to kill him. Even if it takes a long time, they will hunt you down. WI – Okay, do whatever, come. I am going to shred Joseon and sell it peice by piece. Scene change to ashes being brought back to the grandfathers house. The man says that this is the baby from his lover. It is a girl. The main servant takes the baby and cries. VO – Like that…I saw my grandfather for the first time. A tiny box, with my soft father and mother. And that fall…. A bloody sword goes through a wall. It looks like Japan is attacking Joseon. VO – The Joseon that someone wanted to protec with their life was destroyed by only 14 soldiers. Cut to two people saying that there are no more slaves! It is a revolution! they collapse on the ground. These are the slave hunters. they have no job now that there are no more slaves. They try to think about what Yangban and slaves need the most. Fast forward to the slave hunters opening an everything store. they are a pawn shop, a finding people store, they do everything. But they can’t write. they see an old slave that they caught walking around as a free man. they think that they stepped on him once upon a time ago. the slave tells them that he awnts to catch his master that wanted to find him. 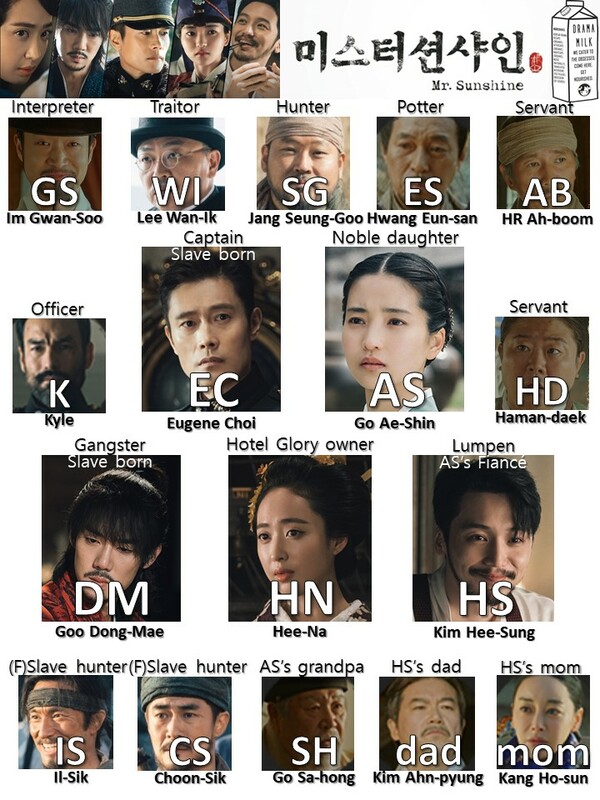 The slave hundters think that Joseon is really changing. A slave yells at a former slave. The master wants to take all the land and not give any of it to the slaves or anything. They beg him not to kick him out from the land. But the master says that he is selling this land for his son so he can keep his watch. His son, Hee-sung is sitting behind him. The Master tells his servants to take this man out, the master has no sympathy for any of them. the father goes to his son and asks him if he likes his present. HS says he did not expect that he would give him this precious thing. the father is happy that his son will study abroad. go do that and come back with a big position. HS is a little hesitant. The father says that this is a changing Joseon. His son is the only person that he can trust. he has to protect what their family has and make it bigger. there are no limits. Do not limit yourself. the father gives the son the watch. We hear it ticking loudly. Cut to another home. It is Ae-shin’s home. She sits outside reading as her servant sets some pretty items to her. they happily talk about them and then she is given a secret letter. Ae-shin gives her money. the woman tells her that she is so strange. How come she likes that letter better than this jewelry? Ae-shin tells her to please ocme back next week. Vo – Yesterday is far away, today is foreign to me, and the future is scary. this is the time of change. All of us are living in this changing Joseon. Montage of future scenes to come. So far so good. I like it but I’m not in love with it, yet. There are a lot of long drawn out crying scenes, but that is typical of Korean dramas because they really try and milk all the emotion from the feelings cow and make you wait as they whisk them into butter. VO – Everyday, Joseon is in more danger but that girl spends her time as a hidden freedom fighter. EC – Which way are you going? Should I walk that way because we kind of knew each others secret. AS – I am not planning to help you. VO – This current Joseon has a lot of strange things standing in front of me. My only nitpick is on the research though – Yu jin (Eugene) is motivated to join the U. S. military when he sees a black soldier walking with the troops as an equal – it works well for the story, but U. S. troops were not integrated until 1948 (still a lot sooner than the rest of the nation AND that included Asians at that time who were also segregated although there were lone exceptions of Koreans as translators to all white units. Also, it is plausible that Eugene could’ve served as he did (along side white soldiers) because historically in America sometimes a lone individual is allowed to participate and it only becomes a fear to whites when it seems as though they will have to make room for many “others”). But I can set aside American historical inaccuracy because I’m loving it already! I definitely checked that inaccuracy box while I was watching. I was all like….ummm…..that is the biggest mistake …….. I’ll try to overlook it? It would have been better if he just saw the AA soldier walking by himself and then he handed him the chocolate or if he saw another Asian soldier or something like that. But I could definitely understand what the writer was trying to do with it. Wanted to like this but they lost me about 15 minutes in. The inaccurate stuff was grating (like it looked like they got the wrong US flag–it had a lot less stars back then) and the Americans who were obviously not native speakers of American English (like, oh my, Teddy Roosevelt–bad casting and worse dialogue) sounded very off. However, I will give this another try. Maybe it gets better. I sure hope it will. I actually googled the US flag after watching it and thought, okay, maybe it’s fine if it’s a mistake. But, teddy Roosevelt had me rolling!!!!!! Did they really have to put his famous quote into the conversation? But I definitely think you should give it another go. It picks up in Korea and I think there are a lot less inaccuracies. Oh you must give the series time. It’s a wonderful drama that keeps you wanting more each episode. Get past setting up the story in episode one and then it all breaks loose. It will keep you wanting more. I promise. It’s wonderful.